With millions of car crashes occurring each year, it’s a safe bet that you’ll likely be involved in an accident at some point in your life. Even if you stringently follow the rules of the road, there’s a good chance that you’ll one day cross paths with someone who isn’t quite as diligent. It’s best to know what you should and shouldn’t do after a car crash before the event occurs. 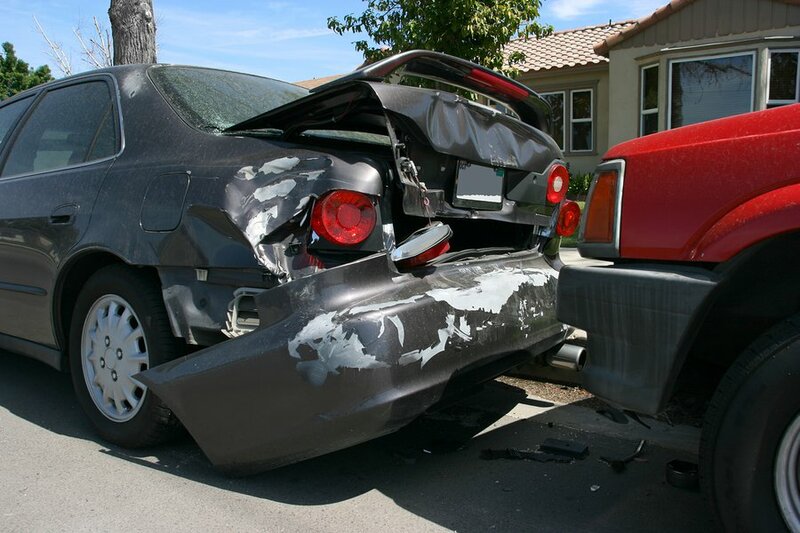 If you are involved in a car crash, remember to contact a car accident attorney as soon as possible. You’ll need a car wreck attorney near Severn to protect your legal rights. Car accidents are chaotic events and it’s easy to panic afterward. However, remind yourself to take some deep breaths. Staying calm enables you to think logically, which in turn allows you to handle important matters. It’s illegal to leave the scene of a car wreck , regardless of its severity. Even if you lightly tapped the bumper of the car ahead of you because its driver suddenly slammed on the brakes, you must pull over and check for injuries. In the event that you do leave the scene, you may soon find yourself looking for a criminal lawyer, rather than working with a car accident attorney on your personal injury complaint. The other driver may offer to make an oral agreement with you to pay for the damages without involving the police or the insurance companies. Although it may be tempting, this is never a good idea. There is no way for you to know whether the other driver even has insurance. You should always call the police after an accident and then call a car accident attorney for help with your insurance claim. While you and the other driver are exchanging information such as full names, contact information, and driver’s license numbers, the other driver may make argumentative statements that imply you were to blame for the crash. Tell the other driver that he or she can discuss the matter with your attorney. Never make any statements that may be misinterpreted as admissions of fault, such as saying that you were speeding and that you’re sorry for the crash. These statements will be used against you later when it’s time to demand compensation for your losses. If you’ve been considering getting a divorce, you may wish to consult a divorce lawyer serving Severn. Your divorce lawyer can help you understand the applicable Maryland laws, which recognize divorce as the dissolution of a civil contract. Your lawyer can also advise you as to which type of divorce you should seek. Maryland recognizes limited divorces and absolute divorces. In Maryland, a limited divorce is a legally recognized separation. In other words, the individuals remain legally married and the court imposes certain rules for the separation. For example, the individuals live in separate residences and are not entitled to sexual relations with each other. In the event that sexual relations occur with another person, it is considered adultery. In addition, neither spouse may remarry while a limited divorce is in effect. A limited divorce may eventually lead to an absolute divorce, which is the dissolution of the marriage. After an absolute divorce, either party may remarry at will. Your divorce lawyer can help you determine whether you should file for an absolute or limited divorce. If you have grounds for an absolute divorce , your divorce lawyer may recommend this type of filing. Grounds for an absolute divorce can include adultery, desertion, and cruelty. An absolute divorce may also be granted based on a separation of at least 12 months. By obtaining a limited divorce, you can establish a date of legal separation. However, during those 12 months, you cannot engage in sexual relations with your spouse or the absolute divorce may not be granted. If you choose to request a limited divorce, you must also prove certain grounds for divorce, in addition to other requirements such as residency requirements. The information contained within a decree for an absolute divorce includes the determination of child custody, and the establishment of alimony and child support orders. The divorce decree spells out the division of property. If you jointly own property with your ex-spouse, it may be sold and the proceeds distributed between you and your ex-spouse. Likewise, a divorce decree for a limited divorce resolves matters pertaining to child custody, child support, spousal support, property division, possession of property, and health insurance coverage. If you’re looking for an attorney in Severn, you can place your trust in the Law Offices of William C. Trevillian. 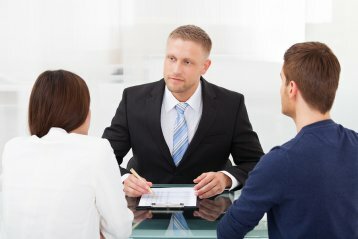 This family attorney has earned a reputation for exceptional client service and legal representation over more than 25 years of practice in the Baltimore area. William C. Trevillian’s son, William C. Trevillian, Jr. joined the practice a decade ago, and has made it his mission to provide the community with unparalleled commitment to his cases and his clients. When you choose an attorney at this law firm, you’ll also have access to a responsive, caring support staff with extensive legal experience. The Law Offices of William C. Trevillian handles cases involving a wide spectrum of legal issues. 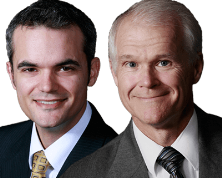 You can rely on this legal team when you need a child custody lawyer or divorce lawyer. The team’s expertise also extends to estate administration and probate law, in addition to providing aggressive legal defense to those facing criminal charges such as driving under the influence (DUI). Those who are buried in debt might consider scheduling a consultation to discuss whether bankruptcy might be a good choice for them. Our legal team is honored to assist community members find a more stable financial future after bankruptcy. If you have recently consulted a car accident attorney regarding a personal injury complaint, you may be suffering from whiplash. Whiplash is a very common injury sustained by car accident victims . It’s primarily characterized by pain in the neck region; however, it can also cause symptoms such as headaches and muscle spasms. Tell your Severn personal injury lawyer about all of the symptoms you experience. Additionally, your car accident attorney will need to know about your losses related to whiplash and other injuries you may have sustained. These might include medical bills, for example. You can watch this video for more information about whiplash. This expert discusses which bodily structures whiplash affects in the neck, and explains why it can be challenging for a doctor to diagnose and treat the injury. You’ll also learn about some of the types of compensation your car wreck attorney may demand on your behalf.